Louise Kelly Consulting services all sectors - Corporate, Government, Community and Not-for-profit. On behalf of the AICWA I would like to thank you for facilitating our recent “Strategic Weekend”. The unique leadership structure of the AICWA brings together business owners who volunteer and sacrifice their personal time to assist with the strategic planning of the AICWA. I imagine facilitating a group of individual business owners cannot be easy and your skill set proved exceptionally appropriate in achieving the desired outcome. Your experience and ability to identify appropriate techniques for facilitating the strategic weekend were immensely beneficial and provided the focus we needed. Achieving focus and consensus is very important for group cohesion as well as overall commitment to our institute’s goals and strategies. AICWA Council achieved a greater understanding of potentially issues and more importantly how we will face these challenges in the future. I appreciated immensely how you empowered us to approach these challenges and work together to explore options. I believe the strategic weekend was a great team building exercise and look forward to engaging with you in the near future. I was lucky enough to have Louise as a coach. From our sessions together Louise managed to get me to re-examine my life in a way I’d never really thought of before. Together she helped acknowledge the key areas I wish to improve and worked with me to make the small tweaks that would give big changes. She was always easy to talk too and very informative with ideas and resources that could help me. As a result these initial issues identified have now been reduced significantly; I am more authentic in my communication and relationships and have a greater confidence in what I do. Thanks Louise for being a great coach. Please thank Louise Kelly - the courses I did with her were very informative, and well worth attending. Fisheries Dept. 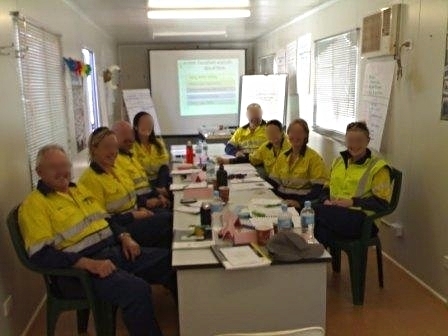 [Our experience ]in accessing and coordinating the training was very positive and the opportunity to sit down and discuss in detail the needs of the service was of great benefit. The training itself was excellent, and the feedback I have received from all three sessions has been overwhelmingly positive. In particular all participants appeared to be very impressed with Louise as a facilitator and I have had a number of comments emphasising this. The course content was well structured, easy to follow, interactive and easily applicable for the participants in their individual work settings.